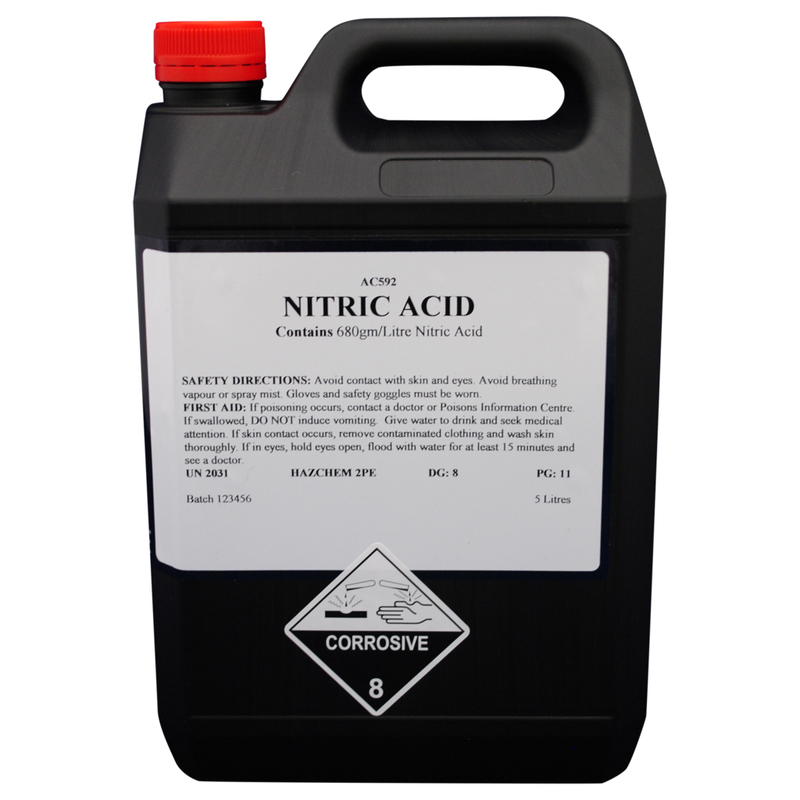 Nitric acid (HNO3) is a highly corrosive mineral acid. The pure compound is colourless, but older samples tend to acquire a yellow cast due to decomposition into oxides of nitrogen and water. Most commercially available nitric acid has a concentration of 68% in water and is used in various forms as the oxidizer in liquid-fuelled rockets. The main industrial use of nitric acid is for the production of fertilizers. The other main applications are for the production of explosives, nylon precursors, and specialty organic compounds.